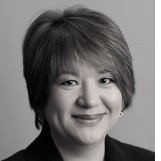 As a Vice President, Senior Portfolio Manager, Doris provides investment management solutions and services to private clients, corporations, charities and trusts. She has over 20 years of investment management experience, initially beginning her career on Wall Street in New York, then moving back to Canada in the early '90s to join Canada Trust. Doris is a Chartered Financial Analyst (CFA) charter holder and a member of the CFA Institute and the Toronto CFA Society. Doris is a member of the SickKids Chinese Cabinet which focuses on identifying best practices, people and methods to engage and fundraise within the Asian community.